It’s time to reverse course on excessive tax breaks for the well-connected and invest instead in our children and hard-working families. Our tax system is most reliant on those with the least incomes (inequitable), over-reliant on the volatile oil and gas industries (unsustainable), and fails to raise enough revenue to meet the educational needs of our children, particularly those of color (inadequate). In New Mexico, the income tax is an underutilized revenue tool. Our current personal income tax is unfair. Families earning $25,000 per year are paying the same tax rate as families earning $250,000 per year despite having a very different ability to pay. 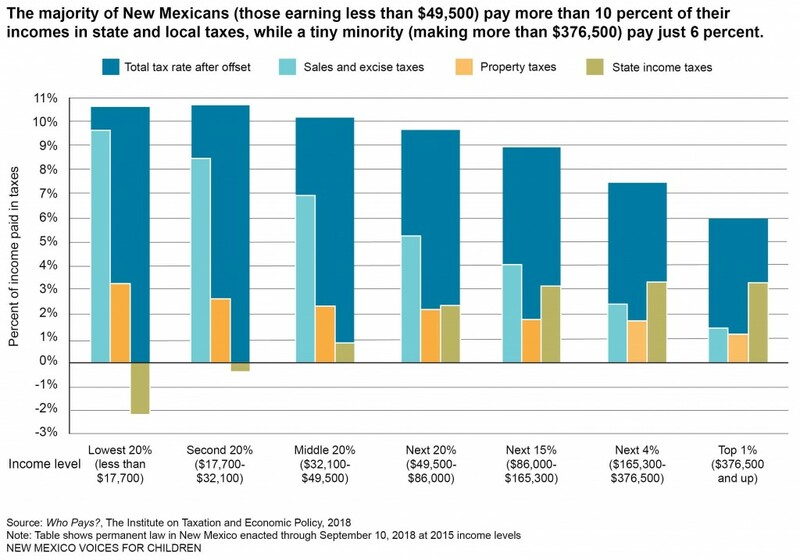 New Mexicans earning the lowest incomes pay nearly 11 percent of their income in state and local taxes, while the wealthiest pay only 6 percent of their income in state and local taxes. A fairer and more progressive income tax can help make the rest of our tax system more equitable. Now is the time to enact bold tax reform that begins by restoring fairness to the personal income tax. By increasing the top tax rate on a relatively small amount of individuals – those who are in the best position to afford it – we can take an important first step in generating the stable revenue necessary to invest in the programs and policies (like public education, health care, and modern infrastructure) that promote shared well-being and prosperity for all New Mexicans. A more progressive income tax structure would improve fairness because the personal income tax is the only major source of state and local revenue that can be based on a taxpayer’s ability to pay. Depending on how it is crafted, an income tax increase could generate around $200 million per year to invest in our communities just by asking the highest-earning New Mexicans to pay a higher rate. 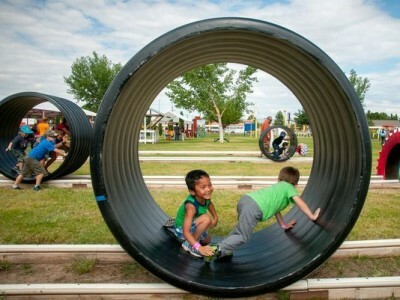 Nearly all of the new revenue could come from those with adjusted gross incomes over $100,000. Many hard-working families who earn the lowest incomes could see a tax cut.